Usable, simple and uncluttered WordPress themes that work right out of the box and don’t get in the way of what’s really important — your content. This time we’re putting masonry on the home page. 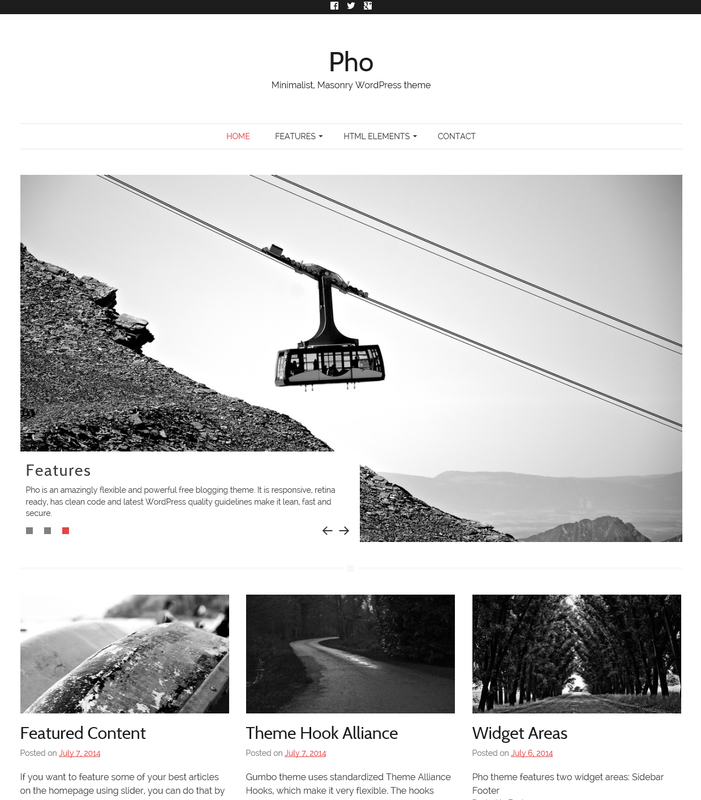 Pho WordPress theme is a minimalist blogging theme with beautiful typography, lots of white space and the love for big featured images. Take a look at our review. A responsive, free and simple theme that uses only native WordPress functionality, so it’s light, stable and future proof. You’ll be able to get your blog or business website up and running within minutes. All settings are in one place and easily accessible via Theme Customizer. Read our review of the Cazuela theme. This time, the blogging platform is on steroids. Gumbo is a multipurpose WordPress theme, built with two things in mind: 1. Minimalism and 2. WordPress best practices. 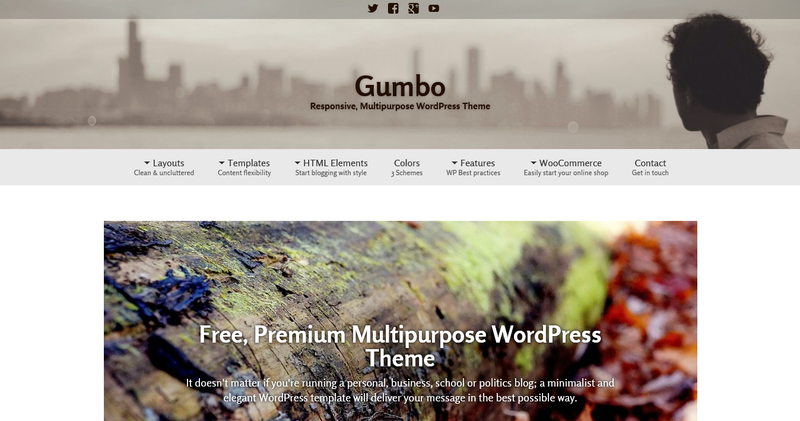 Read our extensive review of the Gumbo WordPress theme. Holi is a Twenty Thirteen’s child theme. It comes in 9 different color schemes and we plan on adding some more. You can see its rainbowy personality in our Holi review. If you’re a developer, you should know that we used Sass for building Holi, so you can add more color-schemes and customize its looks easily.